Animal Defenders International (ADI) has today launched a new appeal and website to secure funds for the lifetime care of 33 lions rescued from travelling circuses in Colombia and Peru. The lions will be flown by a specially chartered Boeing 747 to a new life at Emoya Big Cat Sanctuary in Limpopo province, South Africa, where they will enjoy huge natural bush enclosures. The lions have led such tragic lives that it is not possible to release them into the wild; almost all have been mutilated to remove their claws, one has lost an eye, another is almost blind, and many have smashed and broken teeth because of their circus life. The lions will have the next best thing to a life in the wild, home to Africa where they can retire in a safe, protected, natural habitat. Special African bush enclosures are being constructed, with a substantial financial commitment to the lions’ lifetime care and veterinary needs. People can meet each of the 33 lions on the website, from the ‘babies’ Mahla and Scarc to the old boys Ricardo, Joseph, Leo, Junior and King at LionsBackToAfrica.org. Discover their likes and dislikes, family ties and even blossoming romances! People can get directly involved in the record-breaking rescue by adopting lions $2,400, sponsoring travel crates $1,500, enclosures $6,000, and flight costs for lions $10,000. The airlift in January will be the culmination of ADI’s Operation Spirit of Freedom, a year-long mission assisting the governments of Peru and Colombia with enforcement of legislation prohibiting the use of wild animals in circuses. It has been the biggest rescue of its kind with nearly 100 animals saved and will culminate with the huge lion airlift to Africa. ADI and Emoya are just waiting for the final green light, import permits from South African officials, and hope to move the lions in January. The flight will cost $335,000 and a further $300,000 will be needed to complete the large natural habitats at Emoya. The first phase of “bonding camps” at Emoya Big Cat Sanctuary is nearly complete – this is where the lions will first be settled in, families get to be together again, some introductions to make new families and form prides. The next phase will see the habitats extended into the lifetime spaces. 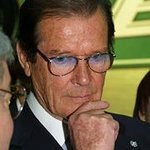 The entire rescue is funded by public donations and last month award-winning Bond actor Sir Roger Moore appealed for help to give the lions “who have suffered so much” “the peace and sanctuary they need”.